At I-TIM, we are passionate about real-world experience and continuing education. For decades, we have connected high-quality, ready-to-work students to internship positions across the country. In our history, thousands of I-TIM students have contributed to the successful operation of premiere establishments as part of their education. In addition to our regular programs, I-TIM is proud to offer customized short course training and skills certification for staff and management across the hospitality sector. At I-TIM, we deliver staffing and training solutions. 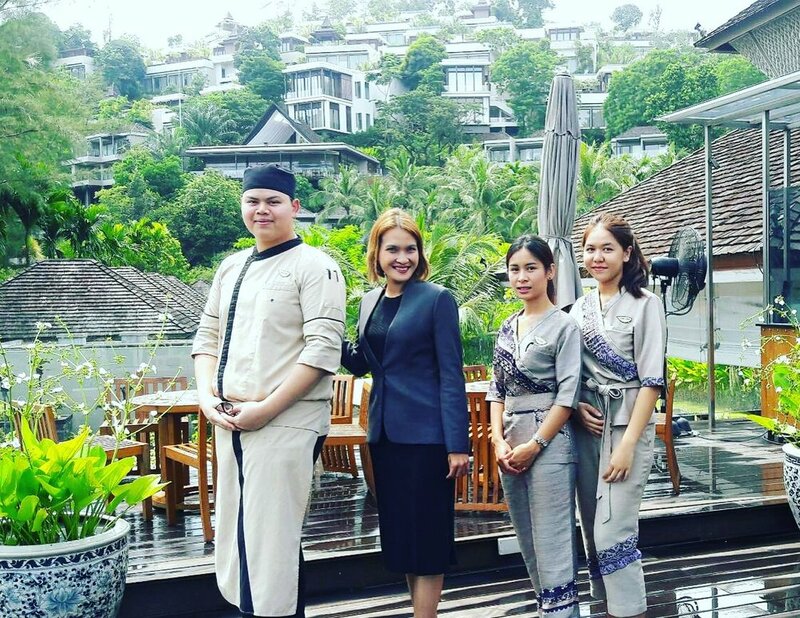 Academic Affairs Co-ordinator Koya Prayoonchat with I-TIM students Claw, Oh, and Cream during their internship at the Anantara Layan in Phuket. I-TIM produces high-quality, disciplined, and work-ready industry professionals for the hospitality sector. Our English-speaking students train in kitchen, restaurant, and housekeeping operations, hotel computer systems, and much more. Find out what our student interns can bring to your hotel, restaurant, travel agency, or cruise line. I-TIM is proud to offer specialized and tailored short courses for your staff or management team. We can accommodate classes of almost any size, with modern facilities for classroom learning, culinary arts, floral design, bartending, and more. Our instructors are available to teach in English or Thai.